The Sony Xperia ZL is not a completely different device but rather a regional version of the Xperia Z for a different set of markets. The two devices will not compete, the ZL will replace the Z in some parts of the globe. 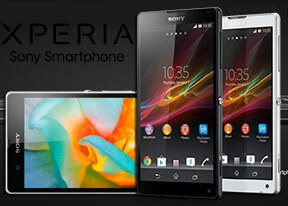 Update: It turns out that the Xperia Z and ZL will be available side by side in some places. For now only Canada has been confirmed. The Xperia ZL is almost the same phone as the Z, almost. Most notably it's not dust-protected and water-resistant. The Xperia ZL is shorter (131.6mm vs. 139mm), but also thicker (9.8mm vs. 7.9mm) than the Z, and slightly heavier too, at 151g (vs. 146g). Note that the Xperia ZL is smaller (shorter and narrower) than the Samsung Galaxy S III, but packs a bigger screen! The front-facing camera has been downgraded - it can only record 720p video (down from 1080p on the Xperia Z). The front cam is unusually positioned in the lower-right corner, along the lines of the Nokia N9. The ZL drops the glossy back for nice patterned plastic (which we like as it's a lot more resistant to fingerprints). The battery capacity is 2,370mAh, a little more than what the Xperia Z has.